Female mannequin from Hindsgaul with the head facing left. COY is a semi-faceless, stylised female mannequin series with nine poses reflecting a confident and feminine attitude. The expressive positions make COY ideal for a modern and contemporary display and are great for a large variety of female clothing styles, including lingerie and other accessories. 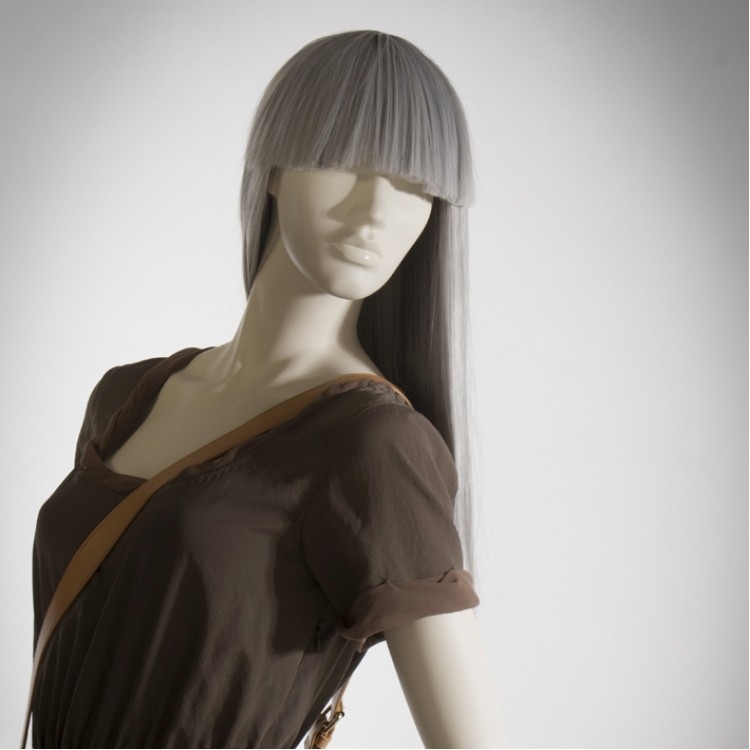 You can use the COY mannequins with and without a wig, making them versatile and easily adaptable to style up-dates. COY goes very well with her male counterpart: the ROY series, also available from Hindsgaul. Available in three standard colours with a silk matt lip gloss and nano coating that reinforces the surface.